Why you should always be positive and edify others. When you’re down, be positive. When you’re up, be positive. When you’re not sure what you should do, be positive. You want to change your life – then go lift someone else’s life up and yours will be lifted, too. 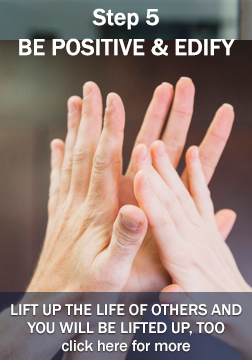 ALWAYS EDIFY – be the person that people say “I like that person”. That doesn’t happen by accident – people notice those who notice them so be that person that notices others.